Nokia and Microsoft entered the Strategic alliance a couple months back discussing and announcing their partnership, This partnership has been finalized and signed by both companies revealing the true nature of the agreement and giving a fair understanding of the Questions on everyones minds. A video explaining the partnership was released by Nokia a few hours back detailing the partnership. 1: When will the devices be launched? 2: How will this agreement benefit the experience of the User? A: Nokia has begun porting Nokia Apps and Services to WP7 and has also begun customizing it to the requirement of the Nokia User. The agreement enables Nokia and MS to work in Tandem and deliver services and goods that other manufacturers may or may not have the ability to deliver. 3: WHats in it for Developers? A: Existing Nokia developers will get free registration in the new WP7 developer channel. 4: What Assets does Nokia Bring to the Table? 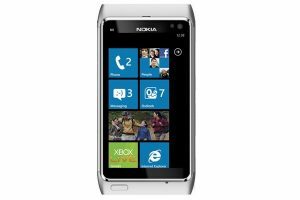 A: The biggest Asset Nokia Brings to the WP7 interface is a large group of Professional Mobile Software engineers who will shift focus from Symbian to Windows Phone 7 to bring about a drastic new Interface and experience for the User. The other advantage is the Nokia Maps and Navigation which will fill in the large void left in by BING maps. Espoo, Finland and Redmond, US – Nokia (NYSE: NOK) and Microsoft (NASDAQ: MSFT) today announced the signing of a definitive agreement on a partnership that will result in a new global mobile ecosystem, utilizing the very complementary assets of both companies. Completed ahead of schedule, the definitive agreement is consistent with the joint announcement made on February 11. In addition to agreeing to the terms of their partnership, including joint contributions to the development of the new ecosystem, Nokia and Microsoft also announced significant progress on the development of the first Nokia products incorporating Windows Phone. With hundreds of personnel already engaged on joint engineering efforts, the companies are collaborating on a portfolio of new Nokia devices. Nokia has also started porting key applications and services to operate on Windows Phone and joint outreach has begun to third party application developers. – Nokia to deliver mapping, navigation, and certain location-based services to the Windows Phone ecosystem. Nokia will build innovation on top of the Windows Phone platform in areas such as imaging, while contributing expertise on hardware design and language support, and helping to drive the development of the Windows Phone platform. Microsoft will provide Bing search services across the Nokia device portfolio as well as contributing strength in productivity, advertising, gaming, social media and a variety of other services. The combination of navigation with advertising and search will enable better monetization of Nokia’s navigation assets and completely new forms of advertising revenue. – Joint developer outreach and application sourcing, to support the creation of new local and global applications, including making Windows Phone developer registration free for all Nokia developers. – Opening a new Nokia-branded global application store that leverages the Windows Marketplace infrastructure. Developers will be able to publish and distribute applications through a single developer portal to hundreds of millions of consumers that use Windows Phone, Symbian and Series 40 devices. – Contribution of Nokia’s expertise in operator billing to ensure participants in the Windows Phone ecosystem can take advantage of Nokia’s billing agreements with 112 operators in 36 markets. 2. Microsoft will receive a running royalty from Nokia for the Windows Phone platform, starting when the first Nokia products incorporating Windows Phone ship. The royalty payments are competitive and reflect the large volumes that Nokia expects to ship, as well as a variety of other considerations related to engineering work to which both companies are committed. Microsoft delivering the Windows Phone platform to Nokia will enable Nokia to significantly reduce operating expenses. 3. In recognition of the unique nature of Nokia’s agreement with Microsoft and the contributions that Nokia is providing, Nokia will receive payments measured in the billions of dollars. 4. An agreement that recognizes the value of intellectual property and puts in place mechanisms for exchanging rights to intellectual property. Nokia will receive substantial payments under the agreement. With the definitive agreement now signed, both companies will begin engaging with operators, developers and other partners to help the industry understand the benefits of joining the new ecosystem. At the same time, work will continue on developing Nokia products on the Windows Phone platform, with the aim of securing volume device shipments in 2012. The scale of both companies’ mutual commitment is significant and is in keeping with the intention to build a new ecosystem based on this long-term, strategic partnership.